1700 Antiques supplies antique furniture and objects from the 18th and 19th century. We meticulously restore antiques using only traditional handicraft. 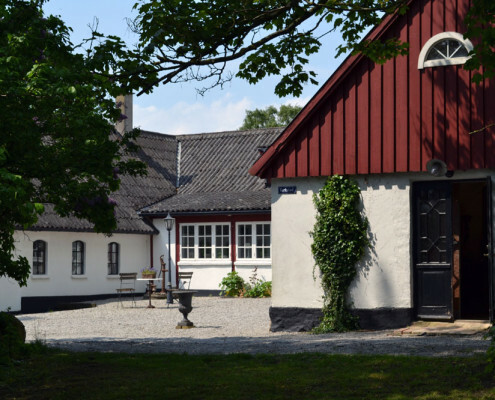 Our clients include antique dealers, interior decorators and clients that share our passion for Scandinavian antiques. I have a passion for beautiful furniture, antique handicraft and the methods and tools used when they were created. 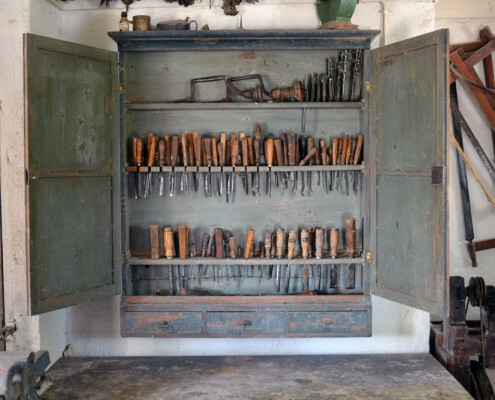 This is why I have built my workshop as if it existed in the 18th century. 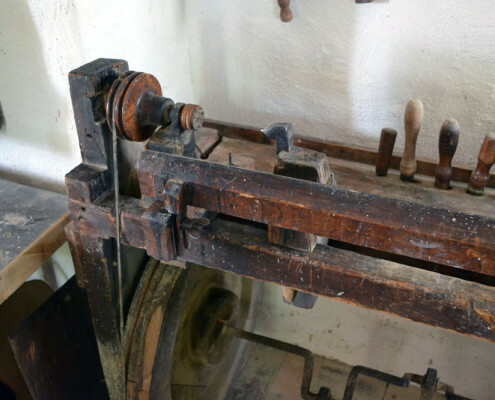 Here you find various tools and furniture from the past and a very rare lathe, 200 years of age – still working very well. I have over the years dedicated my time to studies of the furniture of the great masters to learn more about their handicraft techniques. I always work with traditional material and methods. My highest priority is to preserve and restore the beautiful handicraft in the objects I am entrusted with the task of taking care of. The beauty is already there.